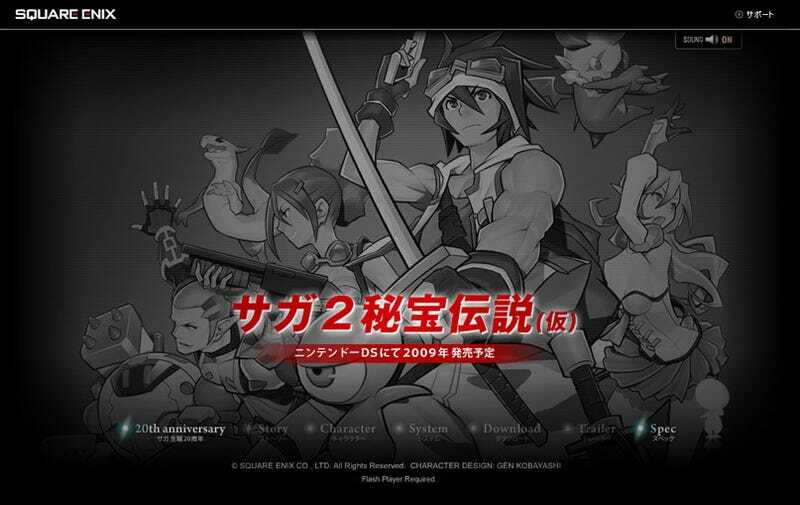 Square Enix has launched a SaGa 2 (aka Final Fantasy Legend II) site. It's bare bones. The story, character info and trailer aren't yet online — but the website does have a 20th Anniversary trailer and a staff credits list. The team has worked on past SaGa titles. The site is playing the game's theme music, which is quite beautiful.